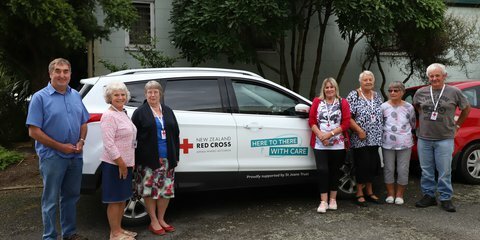 Seven Community Transport drivers got together to look back on 10 years of New Zealand Red Cross running the service in their area, and some of their stories will warm your heart. 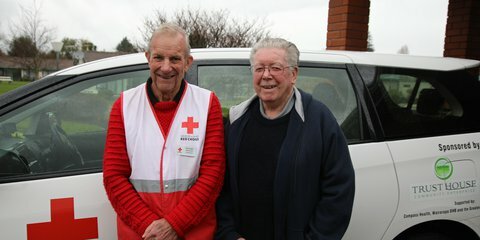 Thousands of dedicated Kiwis make up our New Zealand Red Cross whānau. 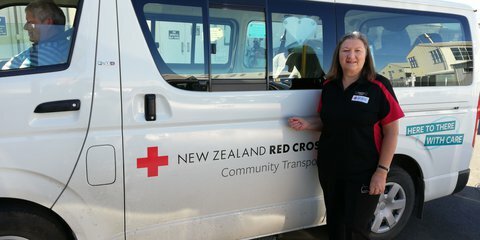 Community Transport driver Rosemary Wong, of Hawke’s Bay, is one of them. 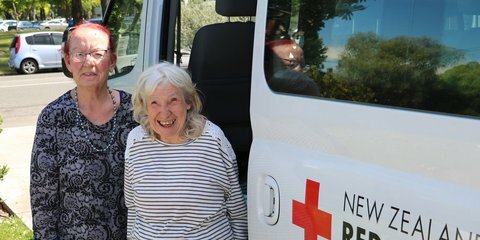 She talks about her work with Red Cross. Christchurch’s Eastgate mall isn’t even open yet, but on a first floor office in “The Loft” above the shops, Red Cross Community Transport drivers are already gathered to pick up their schedules. Before the mall opens, they are all on the road. 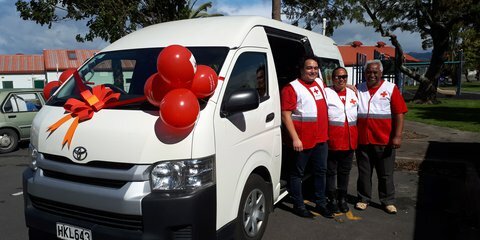 People in Eastern Bay of Plenty who have difficulty getting to important medical appointments now have help thanks to the new Community Transport service set up by Red Cross. Every morning Jade Pounamu Aikman, 27, gets on his bicycle to help.